Length: 280mm (when connected). Image shows painted and assembled kit. ★This is a 1/48 scale plastic model assembly kit set. SS-100 length: 114mm; 88m gun length (towed): 169mm. ★The sturdy SS-100 form is recreated with aplomb. ★Integrated cabin parts make for a fuss-free, accurate assembly. 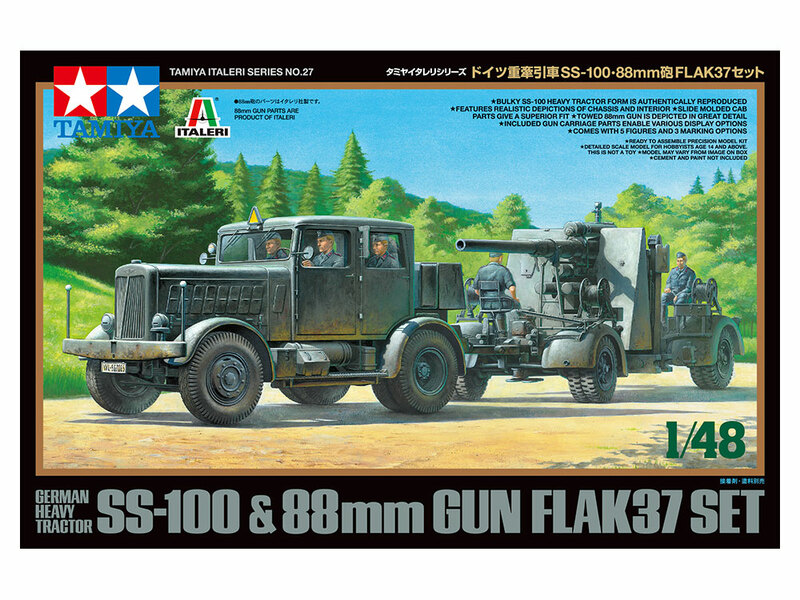 ★The complex Flak37 88mm gun is captured with realism. ★Transport wagon is also depicted. ★Comes with five figures and three marking options. 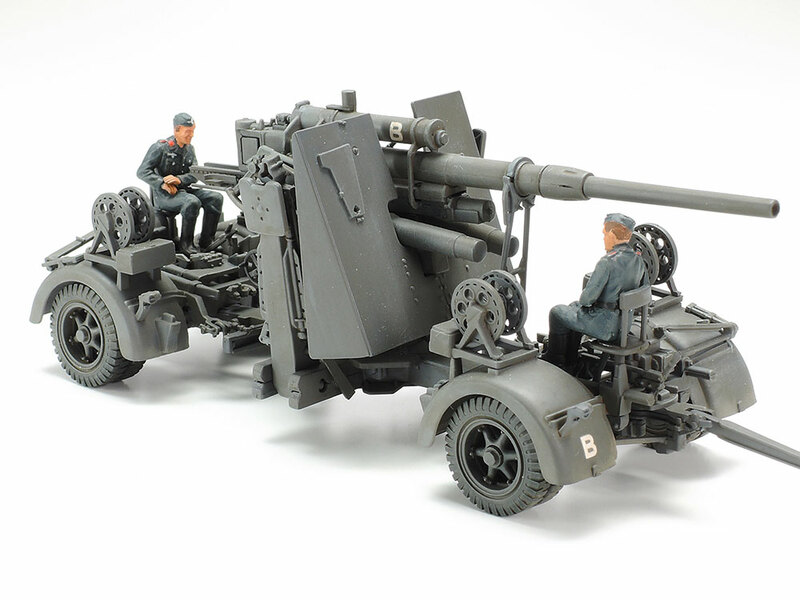 *88mm gun parts are a product of Italeri. 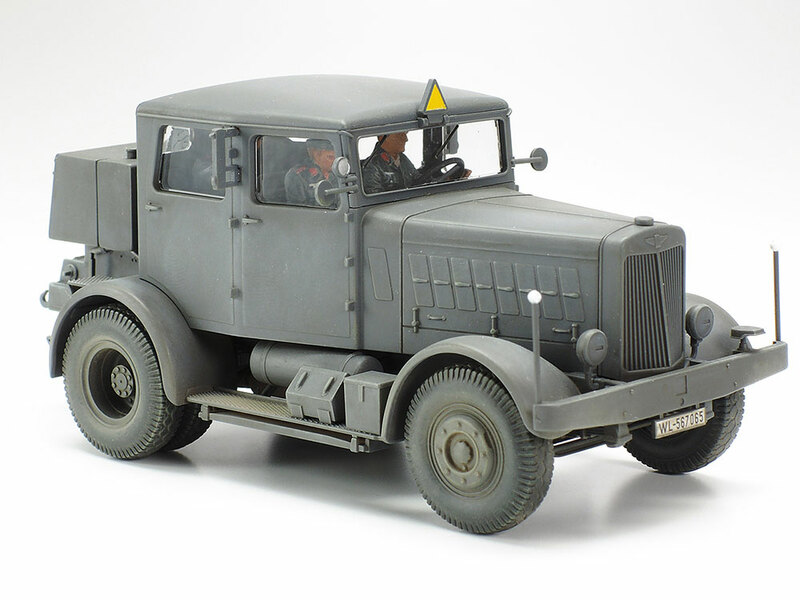 ★Left:A close-up on the boxy SS-100; note the accurate body styling with detailed depictions of grille, tire tread and more. 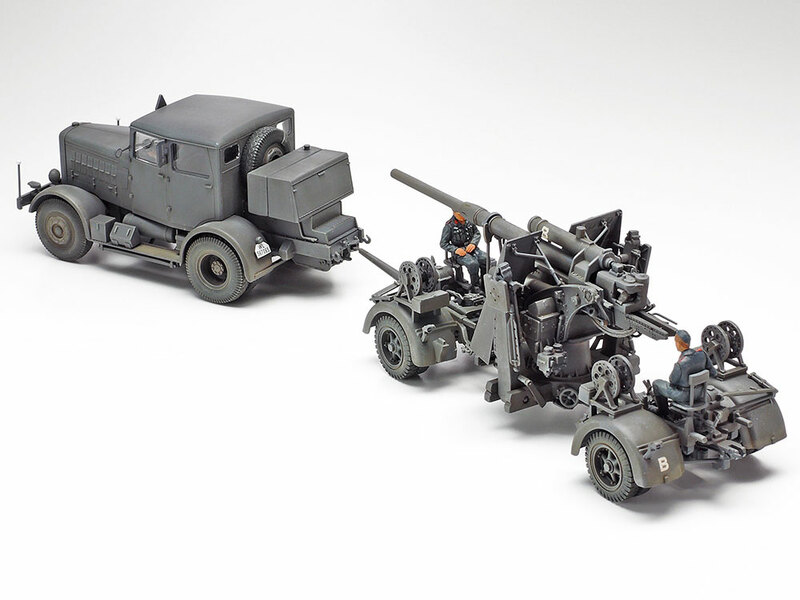 ★Right: Shown in towed form, the 88mm gun is a high-detail recreation, with figures included for an incredibly realistic finish. 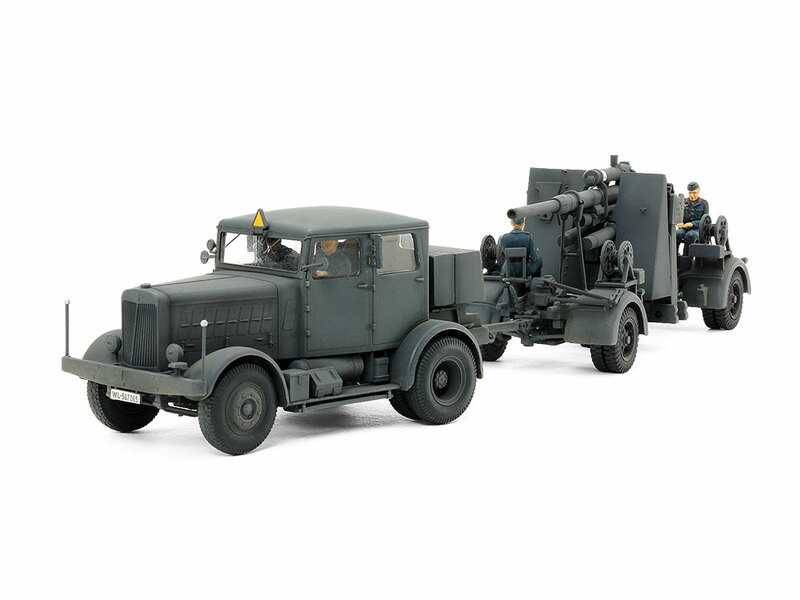 ★Left: When linked up via the towing hook on the back of the SS-100, the set measures 280mm. It makes a great mini-diorama! 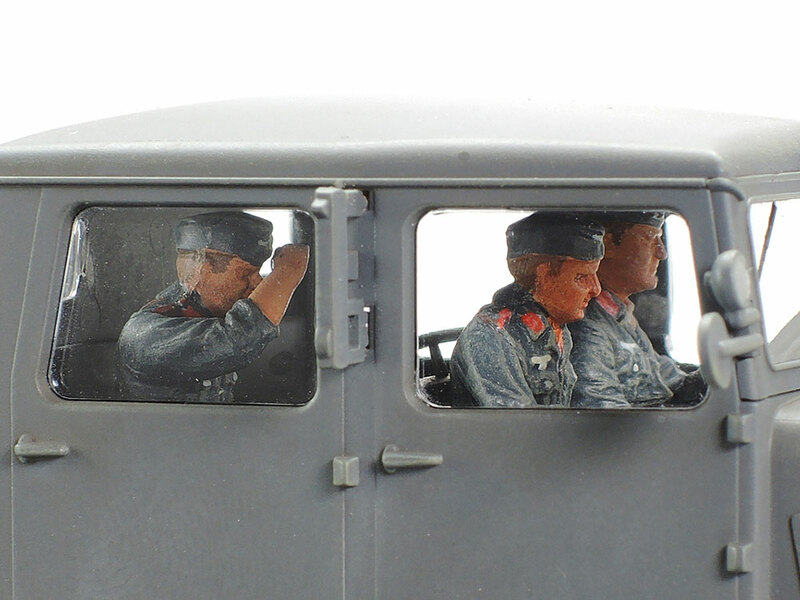 ★Right: Three of the figures in the set are for use in the cab of the SS-100, a driver and two passengers that will up the realism even more.